7′ front wall, 71″ back wall. 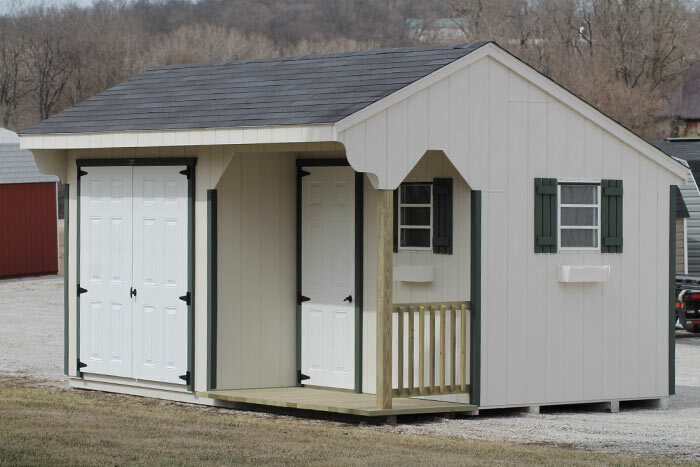 Comes standard with 3 windows, shutters, 2 flower boxes, double swinging doors, a 3′ x 8′ treated porch with railing and a single walk in door. 7′ front wall, 71″ back wall. 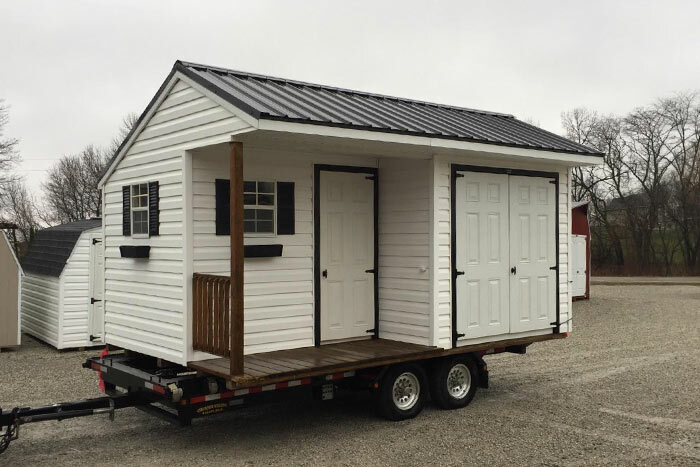 Comes standard with 3 windows, shutters, 2 flower boxes, double swinging doors, a 3′ x 8′ treated porch with railing and a single walk in door. Steel roof is optional.